The New Year is almost upon us as we slowly prepare for the Christmas Season; presents are being bought, holidays booked, and money becomes tight. So, receiving a Settlement Agreement, at this time of year may put a spanner in the works with the uncertainty that it offers! This time of year, sees a rise in Settlement Agreements, as employees face redundancy and voluntary redundancy situations. A Settlement Agreement if negotiated right can offer an enhanced, lucrative package for an agreed sum of money, reference and benefits, that serves to wipe the slate clean for both employers and employees. However, a Settlement Agreement does come at a high price, as it requires the employee to waive their employment rights, so it is crucial that you are properly advised before you give up those valuable rights! What are Settlement Agreements- How can I identify one? A Settlement Agreement is a legally binding contract that waive an individual’s right to make a claim. Settlement Agreements, are usually used to resolve ongoing disputes, such as holiday pay, which at this time of the year is only too common a dispute amongst employees and employers. However, they can also be used to end an employment relationship and can be bought forward by either the employer or employee. 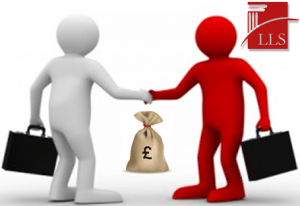 So how do you know if you have been offered a Settlement Agreement? Well in order for a Settlement Agreement to be valid it must satisfy certain formalities. So, if it does not contain the above, it is likely that it is not a Settlement Agreement.